When Prof. Arthur McDonald and Prof. Takaaki Kajita were awarded the Nobel Prize in Physics in 2015 for establishing that neutrinos possess mass, it caused something of an uproar in certain circles, and the reason for this is quite simple: E = mc2. According to Einstein’s theory, everything which possesses mass also possesses energy. That includes neutrinos. And while little attention was given to the far-reaching implications of this discovery in the media due in part to a complete lack of insight into the nature of the problematic, the world of science has been reeling with the significance of McDonald’s and Kajita’s findings. In 2016 and 2017, researchers from various American universities such as the prestigious University of Chicago were able to observe and demonstrate the interaction of neutrinos with subatomic particles, and new reports from the scientific community are being released on a weekly basis, especially in the USA and Asia. Converting neutrino energy into electricity that can be used at home has many advantages, and it’s not as utopic as it may sound: Today, electrical devices require much less energy than they did in the past, and this allows us to begin thinking about alternatives to our current dependence on fossil fuels. Presently, most of our electrical energy is derived from the burning of coal, natural gas, and oil. The electricity is then transported to consumers over a network of power lines extending thousands of kilometers, thus resulting in huge energy losses. In the future, however, this won’t be necessary: Each household, and in many cases each electrical device, will be equipped with a neutrino energy converter (a so-called “Neutrino Power Cube”) that is capable of fully powering the respective application. The Neutrino Energy Group is currently working on the development of such devices. But how exactly will it be possible to convert the kinetic energy of neutrinos into electrical energy that can power a device? The secret lies in the geometry of a special construction and the vibrations created when neutrinos strike it: Layers of silicon and carbon are applied with amazing precision to a metallic substrate in accordance with an ingenious design (the real “Da Vinci Code”) so that the impact of the neutrinos upon them results in resonance. In a world of physics and technology, the concept of resonance refers to the increased vibration of a vibrating system when said system is subject to temporally variable impact. Once the process has been set in motion, resonance can even lead to stronger vibrations than those caused by the impact itself, assuming, of course, that one has taken the relevant geometrical principles into account. Our scientists have finally succeeded in making use of this geometry for the construction of these specially coated resonating substrates so that they are actually able to translate the periodic impact frequency of neutrinos into a resonating frequency on an electrical conductor. The patent for this design bears the number WO2016142056 A1, 7.03.2016 and belongs to Neutrino Deutschland GmbH. This technology is the foundation for the energy of the future. The code has now been broken, and that could very well change the life of each and every one of us in ways we can’t even begin to imagine. 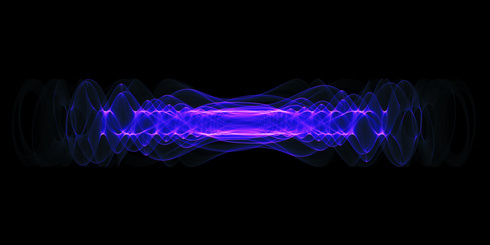 Breaking this code was finally made possible by a geometric understanding of how to achieve an optimal level of resonance that allows infinitesimally small particles only discernable with an electron microscope to vibrate, thus causing the electrons of a metallic substrate to vibrate in turn. The process itself is fairly complicated, but it translates into energy, pure and simple, and can be demonstrated with simple mathematics. Moreover, it’s just a question of addition and multiplication to determine exactly how much of this energy will be required to power an electrical device, be it a cellphone, an electric vehicle or the needs of an entire household. Yes, that sounds incredible, but it will become reality in the coming decades. On February 22nd, 2018, the United States Department of Energy published a statement officially confirming the fact that neutrinos interact with other material bodies. Neutrino radiation is the source of a potentially unlimited supply of energy, and according to Prof. Stephen Hawking, neutrinos are the only known energy source that can solve the global problems we are now facing. It’s safe to assume that it will take years or even decades to reach this goal; and furthermore that the established powers will do everything at their disposal to prevent the change; but it’s the duty of our enlightened society to see to it that change does in fact take place. Only by doing so will it be possible for us to fend off the environmental catastrophes looming on the horizon. Ultimately, the very future of life on this planet depends upon our readiness to begin meeting the challenge now. In the end, the choice is ours to make: either to continue on our present path and guarantee our own destruction; or to embrace new ideas and seek out more intelligent ways of doing things. Throughout the centuries, there have always been certain thinkers who claimed that geometry, when applied properly, can be the key to a better life. Perhaps it’s time we started listening to them.